Read on for the state of the art in movie rentals if you are still visiting Blockbuster or Redbox. Blockbuster and Hollywood Video did a pretty good job for many years, serving up video rentals. The plan worked very well for awhile, but technology changes at lightening speed these days. Then a small company called Netflix showed up on the scene to provide the plan to use the latest technology. They used the United States Post Office with the Internet pairing to change how people view and get DVD’s to their homes. People did like to go to the stores and look at the great artwork in the DVD case, read about the movie and move on to the next movie case. Then when you chose a movie you took it to the counter to pay for the rental. So what did Netflix do to change this? They put the DVD’s into little red envelopes and got rid of the cases! This allows for the movies to ship for pennies instead of renting for dollars. When you wanted a movie you just went to the Netflix website and checked out the movie synopsis online. 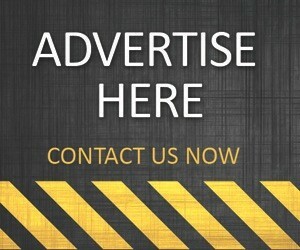 With the click of a button you ordered your movie. Why did we need a case anyway when all we were doing is renting the movie? In 1999 when Netflix started this it didn’t catch on right away because even the Internet was fairly new. But very quickly the thousands of clicks became millions of clicks. Skeptics thought it a joke — mailing a DVD…? You must be kidding, wouldn’t they break? No, they did not break and it caught on in a very large way. 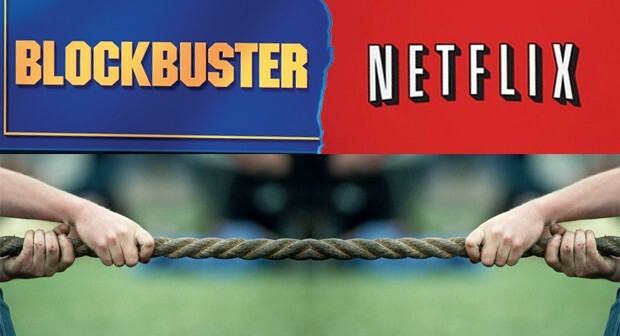 So the race is on now for Netflix vs Blockbuster and who will be the best online movie rental company. Netflix threw in some more innovations: like rental queues, no late penalties, distribution centers placed strategically, and a tiered price structure allowing more than one movie to be rented at a time. One movie out, then back in, then the next movie out from the queue. Each family member has their own queue. Many customers left the brick and mortar businesses just to get away from the late fees and having to drive to the store. This became a sublime revolution in movie rentals and the bell tolled for many local rental shops and even some big ones. Blockbuster saw the light eventually and implemented their own mail order system. However, it remained to be seen if Blockbuster acted quickly enough to pull away the loyal Netflix customers. Netflix came back after that with even more technology with the implementation of online movie viewing for free and as much as you like. The first roll out provided an online viewer that only played on Windows computers. When that was successful they began the second part to extend the playing online to Apple Computers with Intel processors. The quality of the first images were not very good and again Netflix recreated itself with high speed Internet connections. This is almost like watching HD television now, and now you can stream them to your TV or home theater projector. 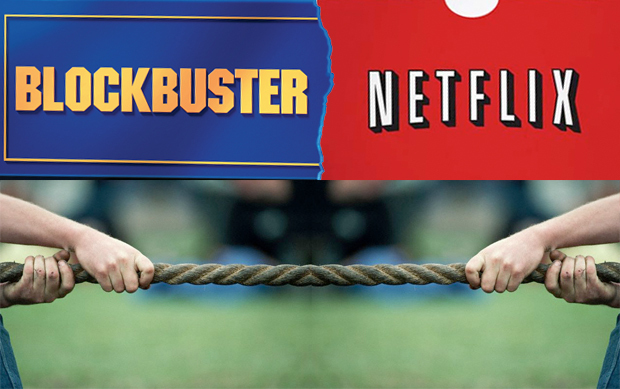 What do you think will happen with the Netflix vs Blockbuster competition and how will Netflix manage to keep up with the likes of Blockbuster, Hollywood Video and now Redbox? So this is a pretty big amazing transformation of the movie rental business, huh? Well, if you are still getting in your car to rent your movies and then getting in your car again to drive them back, you might want to look at Netflix considering the rising prices of gas these days. Happy movie watching.